M(us)ic equals "us in music." Playful guitar lines and broken time signatures characterize Buffalo, New York's Damiera. Imagine a mélange of The Fall of Troy and Circa Survive. 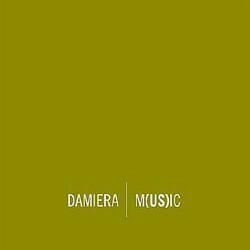 This comparison (to bands also on Equal Vision Records) was the first thing I thought of when listening to Damiera. Each track is respectively catchy and melodically technical, proving the musicians know how to play and write well. The vocals can be overbearing at times, but definitely fit the band's musical style. As a random note, the guitar work on the seventh track, "Departure," sounds a lot like the now deceased Ghosts and Vodka (which is damn cool, I might add). M(us)ic presents many different song structures, but the riffs become too familiar after the first couple of tracks. Chances are, if you like more than two bands on Equal Vision Records, you'll be pleased by this release. Posted Oct. 11, 2007, 8:15 p.m.